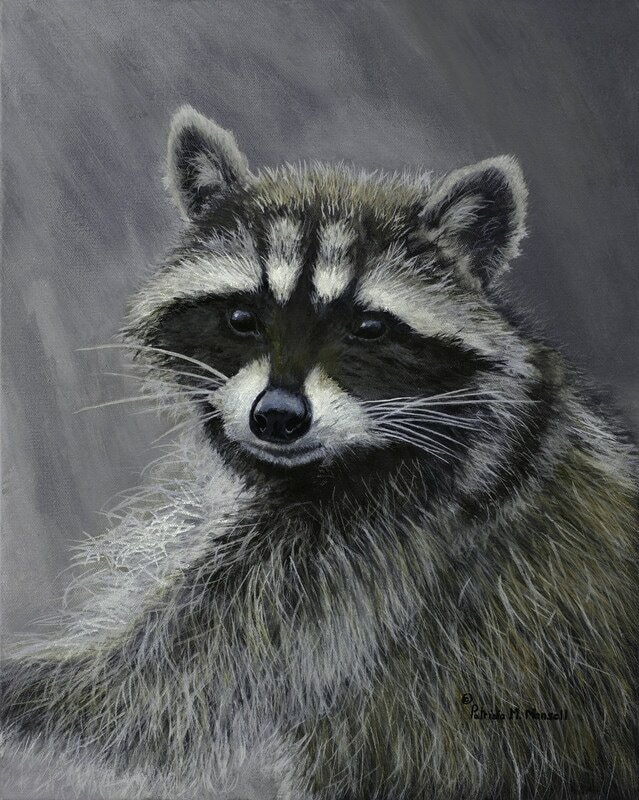 "Raccoons are loved for their cuteness and hated for their scavenging nature. I wanted to focus on this ones eyes - a master survivor in man's world whose wily nature has allowed it to thrive. Here he is "Unmasked" so that you look eye to eye with him-I hope you will see what I see - their resilience and right to survive. "